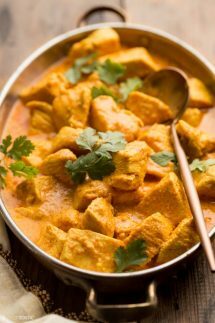 Keto Butter Chicken is one of the most popular Indian restaurant recipes here in the USA, and thankfully it’s really easy to recreate this flavor packed low carb Chicken dish at home! 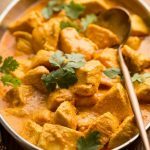 Indian Food is a firm favorite in our house and my butter chicken recipe is on our regular menu rotation as it’s easy for me to make during the week as it does not need a long cook time. The overall carbs per serving (this will make about eight servings) come in at around 5g carbs and 4g net carbs. Mix the yogurt, lemon juice, cumin, turmeric and salt, and add all the chicken. Mix it all really well to ensure the chicken pieces are coated in the marinade, and marinate it for at least an hour or overnight. In your blender add the garlic, chopped ginger, and chopped Jalapenos with the seeds removed (1) and blend until smooth. Add the yoghurt marinated chicken, mix it well into the tomato sauce and simmer, stirring occasionally, for about ten more minutes. 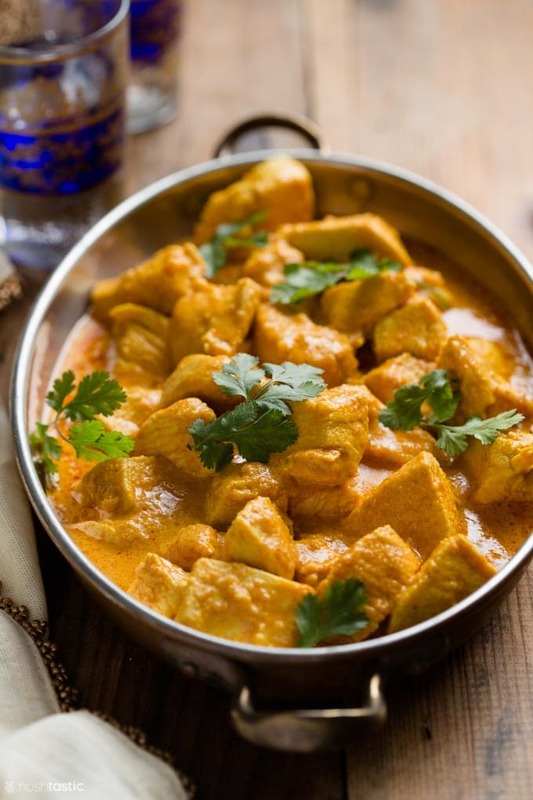 Butter Chicken is a classic Indian recipe that was created by three restaurant owners in Delhi in the 1950s. It was an ‘accidental’ chicken recipe which came about when the chef mixed some leftover chicken with a creamy, buttery, tomato sauce and butter chicken was born! 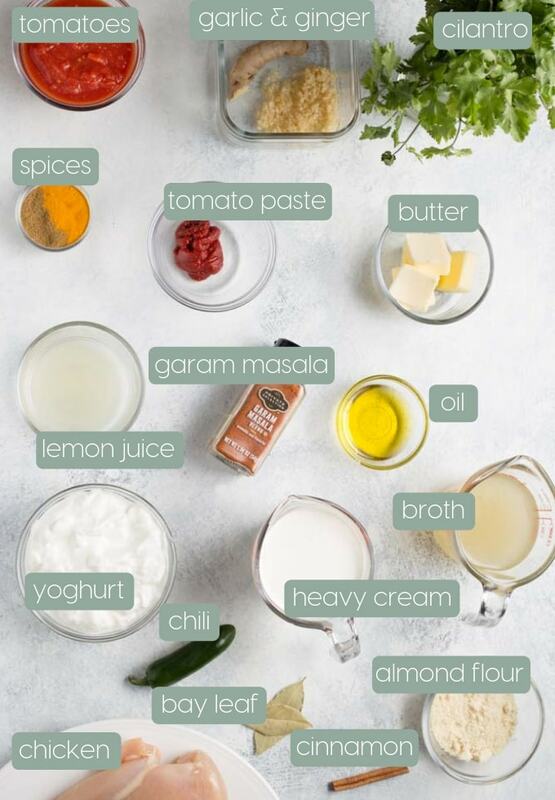 Mix the yogurt, lemon juice, cumin, turmeric, and salt for the marinade in a large bowl and add all the chicken pieces. Mix it all really well to ensure the chicken pieces are well coated and marinate it for at least an hour or overnight. 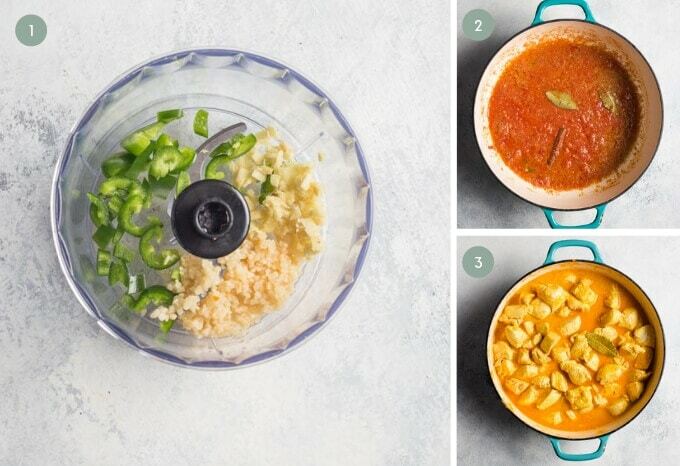 In a blender add the chopped jalapeno, garlic, and chopped ginger and a little bit of water and blend until they are smooth. In a large pan over medium heat melt the butter in the oil and add the garlic ginger paste along with the crushed tomatoes, bay leaf, cinnamon stick and stir well, then simmer for five minutes. Add the marinated chicken and stir well into the sauce and simmer, stirring occasionally, for about ten minutes. Serve hot, and garnish with cilantro leaves.